The perfect pairing for the Northwest could be the perfect gift. It's your cup of Joe in a bag of chocolate. Joe Chocolates brings the best of both worlds together. 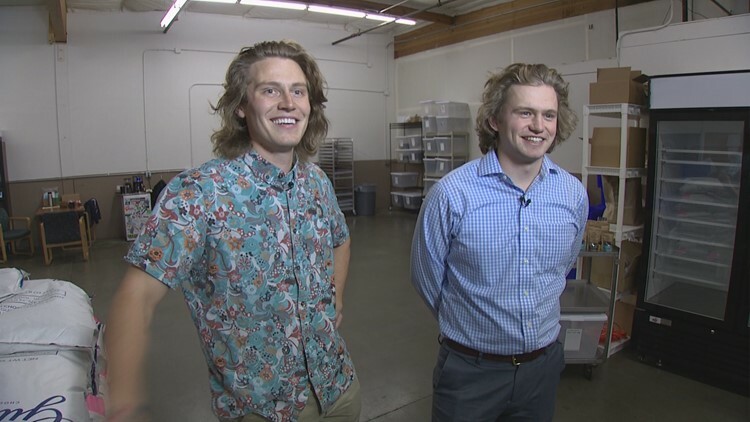 Founders Sam Tanner and Peter Keckemet used to sneak into their fraternity kitchen at the University of Washington to experiment with batches of chocolate mixed with espresso powder. Joe Chocolates Co-Founders Sam Tanner and Peter Keckemet. They knew they were onto something when it started to disappear. "We'd give it to our friends and kind of our first ah-hah moment was when they were just stealing it from us," said Tanner. The school project turned into a business. They now have four flavors: Salted Caramel, Honey Almond, Midnight Coconut and Frosted Peppermint for the Holidays. They'll release a new flavor with cocoa nibs in January. Joe Chocolates are available at most grocery stores in the area.